Quick side note for some folks. Apparently my most recent photos are showing up with some wonky looking colors. This is due to the color space that lightroom/photoshop was assigning photos on my new laptop. This should be all sorted out now, but let me know if the color still looks off. Anyways, my mother-in-law is quite the foodie, so for her birthday this year we went to Bristol RI to try out the Persimmon Restaurant. While wandering around Bristol before dinner, I was able to get the shot below, showing a brick path to the harbor during sunset. Took a short break from posting photos over the last two weeks for Thanksgiving then for some home renovation, but this week I plan on posting our last photo from Angie and Paul’s wedding. The photo below is one of my favorites from the end of night dancing and just has a really fun vibe to it. I finally finished editing all the photos from this wedding late last week, so we’re approaching the end of this photos series. But in the mean time, this weeks photo is from the church. 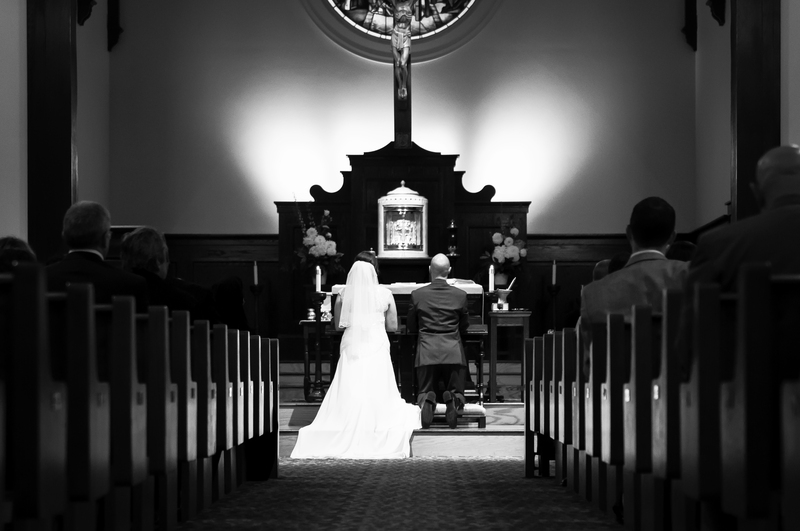 Getting shots that I was happy with in the church was particularly difficult. It was much darker than I expected, and I wasn’t allowed to use a flash. However I was able to get a few decent shots by setting my ISO to 1600 and using the lowest aperture setting available. Even with these settings, I found most of the photos were only OK in color and tended to work better once I changed them into B&W. 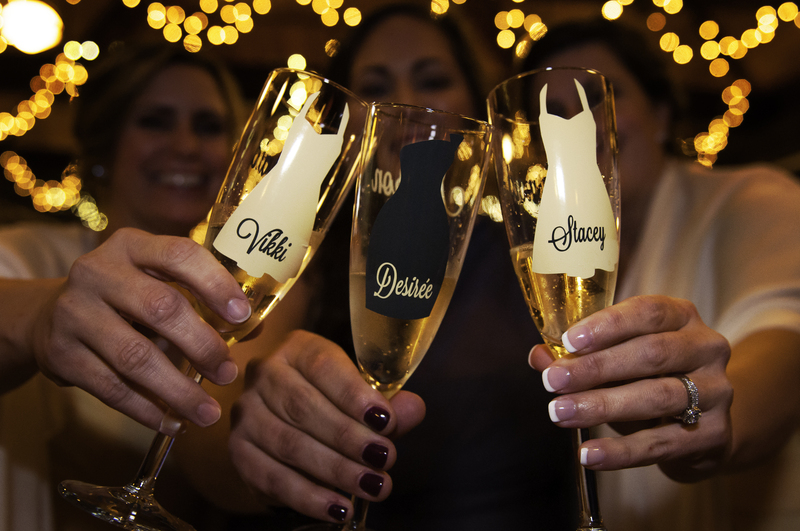 While we were gathering people up for family shots, one of the bridesmaids told me that their champagne glasses matched the actual dresses they wore. Immediately I knew that I wanted the glasses to be in focus, but the bridesmaids to be blurry in the background. Unsurprisingly, conveying how this needed to be shot was harder than I expected. I’m pretty sure they thought I was crazy and therefore didn’t want to extend their arms all the way, but the final product came out great. As I mentioned in my last post, the first look that the bride and groom is a classic wedding shot. Today, I’m going to let the grooms face speak for me. As you are probably aware, the first time a bride and groom see each other on their wedding day is pretty important. A lot of couples have their first look during the ceremony, but we decided to have a photo session with just the bride and groom beforehand. This allowed us some leisure time for taking photos and also gave us extra time for family photos after the ceremony. To make sure that the bride and groom’s first look at each other would be a surprise, we had them leaning up against two sides of a corner while holding hands around it. As I mentioned in my last post, our original plan for wedding photos was a series of outside shots, but the rain and wind sidelined that plan. 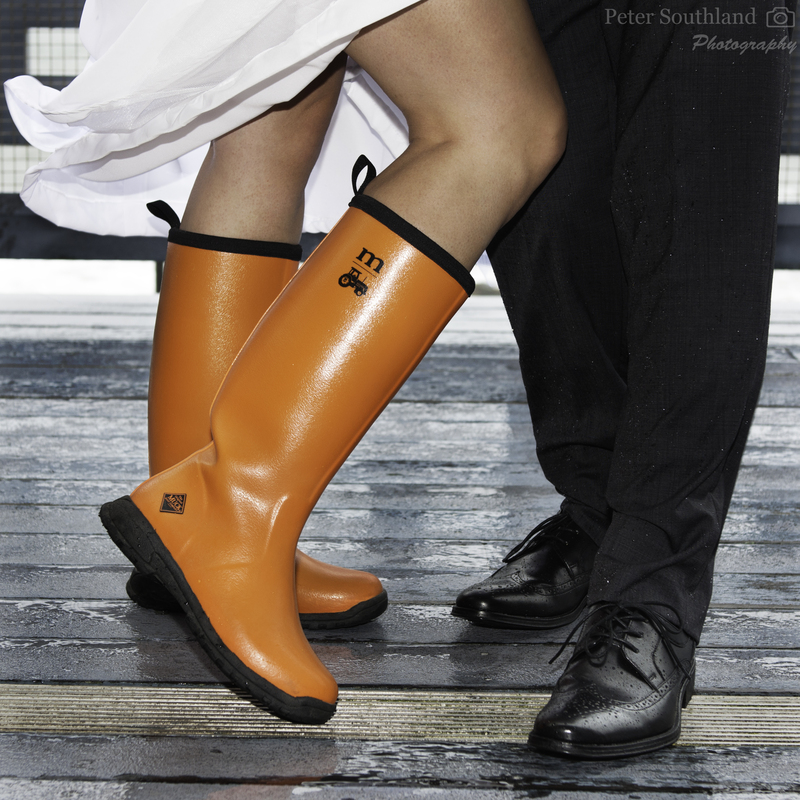 However, since we knew that it was going to rain about a week in advance of the wedding, I suggested that we might still be able to get outside shots if the bride and groom brought wellies and an umbrella….and were willing to getting a little wet. Unfortunately I didn’t take into account how miserable the wind would make it right on the water. But luck was with us, and we were able to sneak out onto the deck when the wind died down to get the shot below. On October 2nd, a good friend of my wife’s got married in Narraganset. 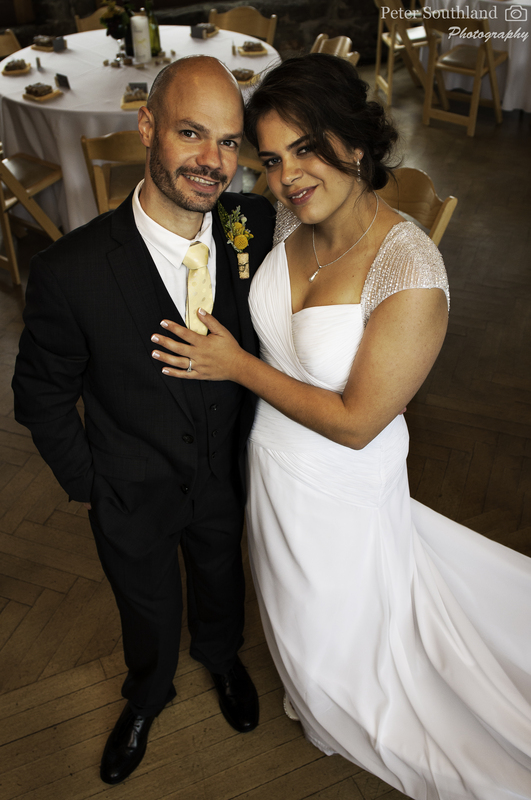 It was also my first time as a paid wedding photographer, which was a really fun, if slightly terrifying, experience. While we were planning with the couple, we suggested that they meet up before the ceremony to get shots of their first sight of each other. This allowed us a lot of extra time for photography on location and gave us extra time after the ceremony for family photos. Unfortunately, since it turned out to be a rainy and extremely windy weekend, we were not able to use any of our scouted locations. Instead we used the inside of the towers which is where the reception was held. This actually worked out quite well and is where I got the shot below. On the way out to whale watching, we went by Egg Rock lighthouse. I wasn’t able to get a decent picture of it mostly because the angle from the boat wasn’t working with the sky. However, on the way back I was able to get the lighthouse with mostly mountain behind it. This week is going to be a short post. I’m shooting a friend’s wedding on Friday, and have been spending most of time preparing. Hopefully next week, or depending on editing time possible the week after, I’ll have some photos from the wedding to share. 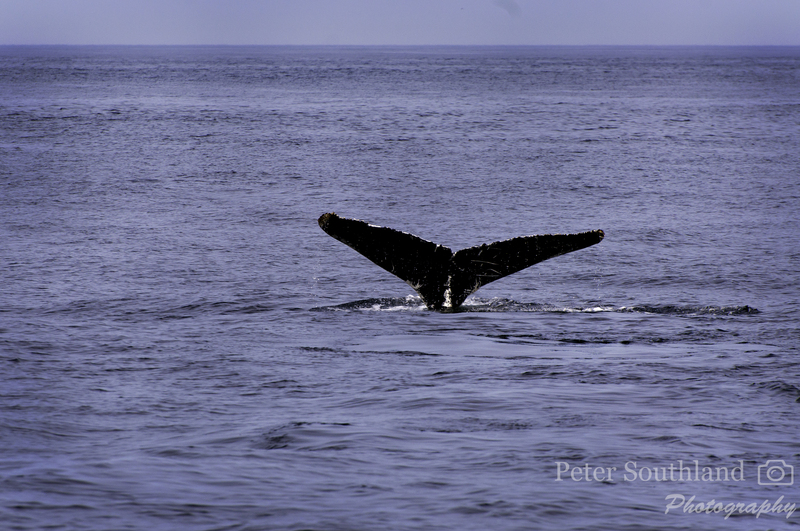 Last week I showed you photos from our whale watching tour, but didn’t actually show you any whales. This week, I rectify that.